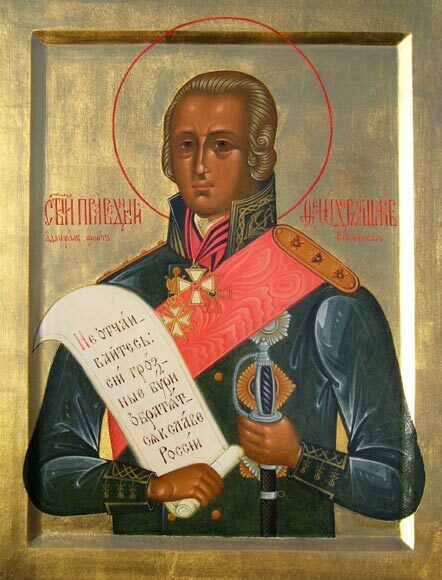 July 23rd – St. Theodore (Ushakov) the Righteous Admiral – St Theodore, one of Russia’s greatest naval heroes of the eighteenth and nineteenth centuries was born in 1745. 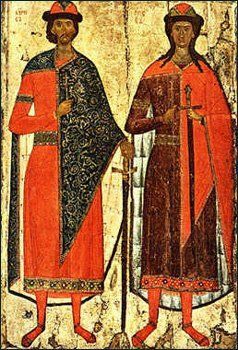 St Theodore is honored as a great military leader who defended Russia just as St Alexander Nevsky and St Demetrius of the Don did before him. One of the Russian Navy’s atomic cruisers has been named for him, and a movie has been made about his life and career. July 24th – SS. Boris and Gleb, Passion-bearers – Boris and Gleb were the sons of the great Prince Vladimir, the baptizer of the Russian people. Until his baptism, Vladimir had numerous wives and many children by them. Boris and Gleb were brothers of the same mother. Before his death Vladimir divided up the State among all of his sons. But, Svyatpolk his eldest son, the Prince of Kiev, also desired to usurp the portions intended for Boris and Gleb. That is why he dispatched men to murder Boris who was in one place and to murder Gleb who was in another place. Both brothers were exceptionally pious and, in all things, pleasing to God. They encountered death with prayer and the uplifting of their hearts to God. Their bodies remained uncorrupt and fragrant. Boris and Gleb were buried in Vishgorod where, even today, a blessed power comes from their bodies, which heals men from various diseases and sufferings.